Comment: Hannah’s desire for a child may be complicated to explain to children, but all of us know what it is to want something badly. Hannah badly wants a child, so much that she goes into the temple, endures insults from Eli the priest, and begs God to remember her. 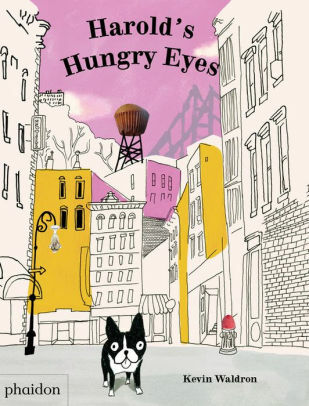 It is a different desire, but in Harold’s Hungry Eyes, Harold is a dog who gets lost in the city, and having not eaten any breakfast, he is very hungry! Harold is so hungry and so badly wants some food that he starts to see food everywhere. Both Hannah and Harold get what they wanted—Hannah, a child, and Harold, a return home to the place where there is a food. Whether we have experienced Hannah’s particular pain or not, we know what it is to want something badly, like she and Harold do, and we know from Hannah that as people of faith we can pray to God about what we want. Comment: The end of our Hebrews passage encourages the readers not to neglect meeting together. The gathering of the community of faith is crucial, a chance to approach Jesus in faith and confidence, a chance to confess our hope in him, and a chance to provoke one another to good deeds. The community of faith needs to gather together to do those things. In Everybody Brings Noodles, Carrie plans a talent show so that everyone can display their talents, but the real draw is that everyone gets to come together in their community and show what they have in common—their various types of noodles. This type of community is just as important today as people of faith as it was when the letter of Hebrews was originally written. It is a chance to show what we have in common, like Carrie and her neighbors do, a chance to worship, a chance to provoke one another to good deeds. Comment: In our scripture passage, Jesus is telling the disciples about some scary things which may happen. He warns them not to be alarmed, or led astray, but then he says that this will just be the beginning. This selection does not go on to Jesus saying that those who endure to the end will be saved, this pericope ends with scary predictions. 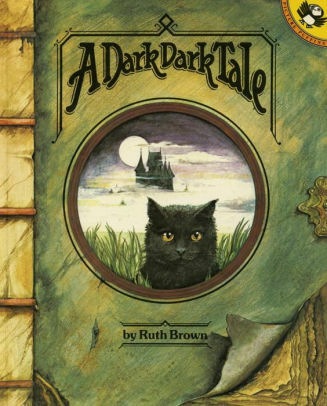 A Dark, Dark Tale captures the same feeling of a building fear, of scary things which might be ahead. While Brown’s story ends with some relief, the buildup of fear is probably similar to what the disciples felt hearing Jesus’ words. We know that Jesus went on to say that those who endure to the end will be saved, and even more, that he went on to die and be raised again for our benefit, and so we have more to rejoice over than to fear. But Jesus did not sugarcoat what could be ahead for the disciples, and so like A Dark, Dark Tale, we remember that some parts of scripture are scary. Thanks to Sara Anne Berger, pastor of First Presbyterian Church of Nachitoches, LA, for writing the Revised Common Lectionary Links this week. Lectionary Links (RCL): November 18, 2018 by Storypath is licensed under a Creative Commons Attribution-NonCommercial 4.0 International License.